GM 10-Bolt 7.5" & 7.625"
With high-quality grade steel to provide durability for street, highway, and occasional race use, JEGS Gear Sets are made utilizing modern machining and heat treating for added strength and miles of trouble-free service. 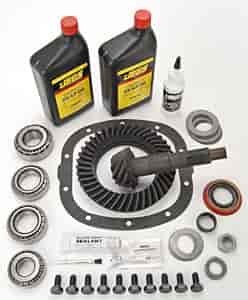 By having the option to buy a JEGS installation kit with the JEGS gear sets, it has never been easier to install a ring and pinion. This says it's for up to 98 gm cars. Will it work in my 99 Transam? Yes, this will work in your Trans Am.